If you’re facing a homicide prosecution, it’s critical to be in the hands of an attorney capable of handling this most serious offense. Regardless of the nature of the crime, you will likely be facing a veteran prosecutor with all of the resources at the State’s disposal against you. You need a aggressive Tulsa homicide attorney as soon as possible to start building your defense. A Tulsa criminal attorney from our firm can ensure that your Tulsa criminal defense is thorough. As with any crime, but especially homicide, the sooner you retain an attorney, the better. You should not delay discussing your case with an experienced Tulsa homicide attorney immediately. We offer free consultations, and can provide you with a quote immediately. A conviction for Homicide WILL carry lasting stigma and consequences. You don’t have to face a criminal charge alone. Jeff can explain your options and together resolve the case in a manner that will lessen the damage to your criminal record and your life. Please contact us today for an immediate and free case evaluation. 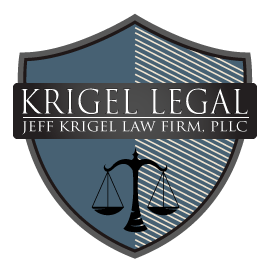 We handle homicide cases in Tulsa, Bixby, Owasso, Jenks, Broken Arrow , Muskogee, Catoosa, Coweta, Wagoner, Skiatook, Collinsville, Claremore, Glenpool, Sapulpa, Sand Springs, Rogers County, and surrounding areas.